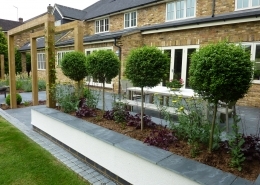 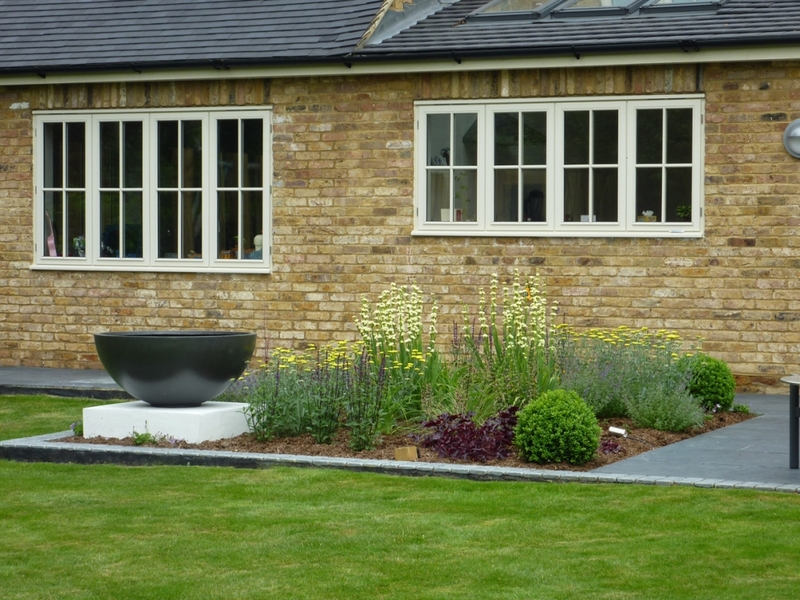 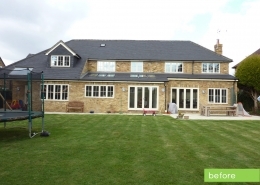 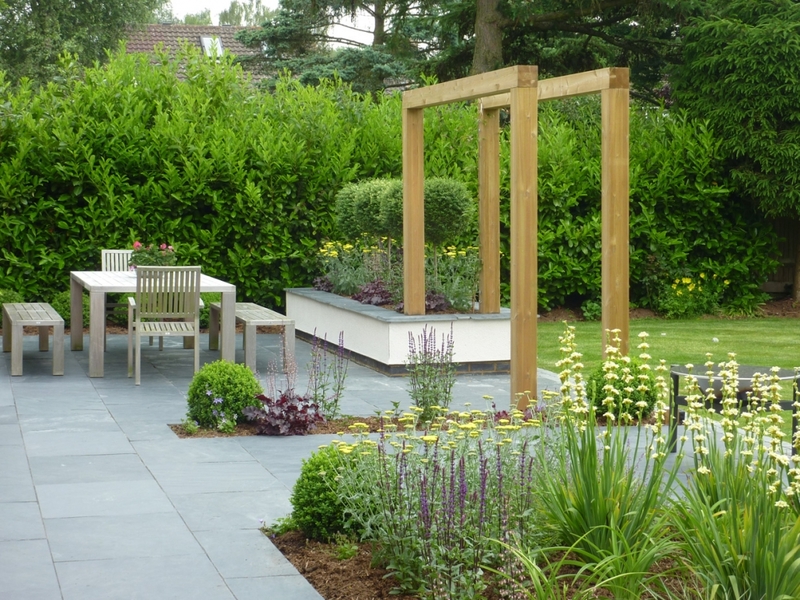 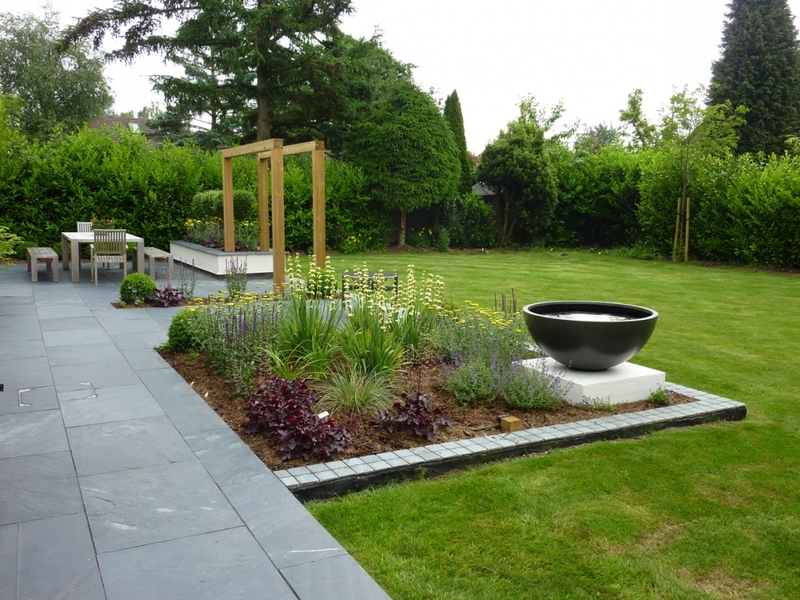 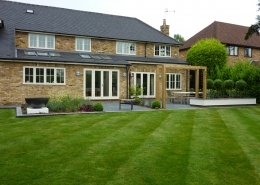 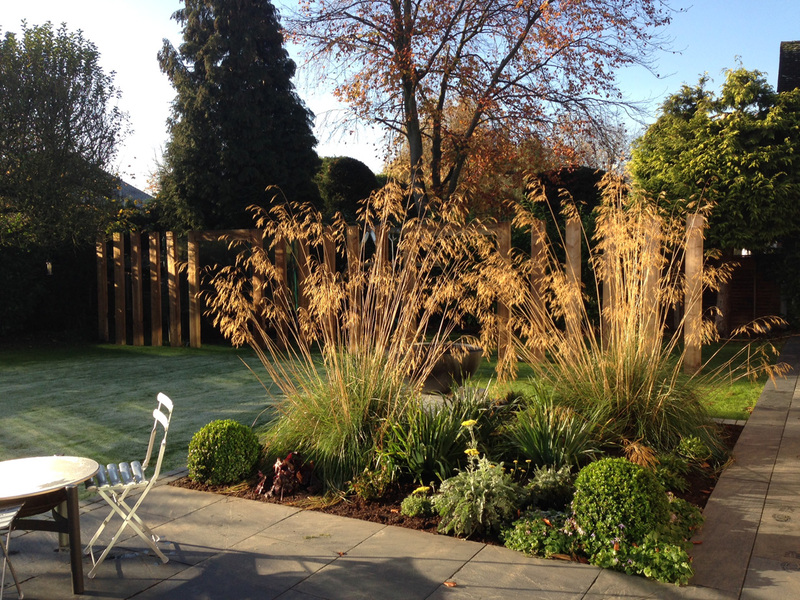 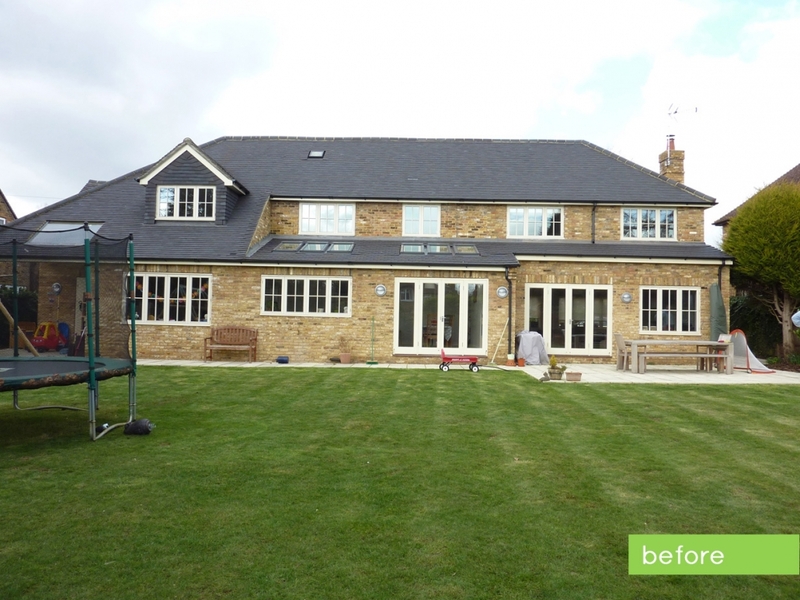 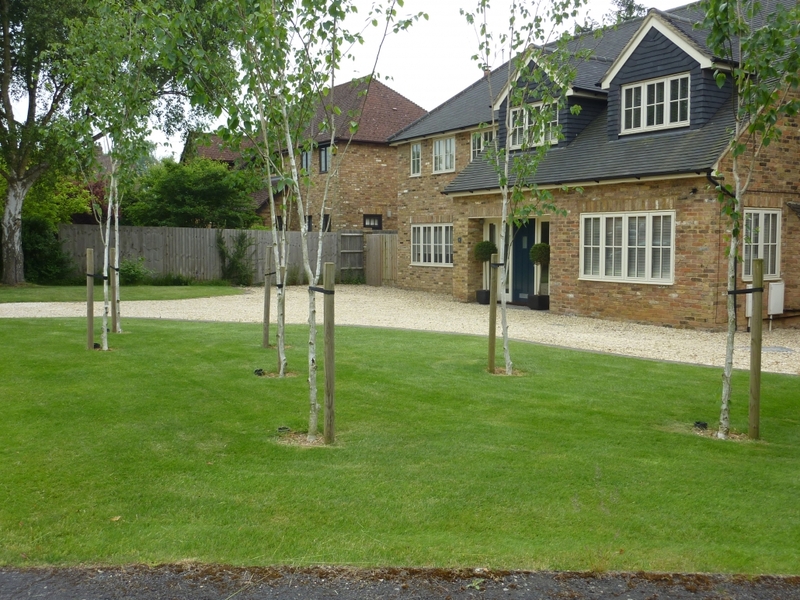 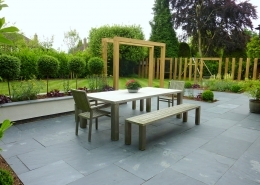 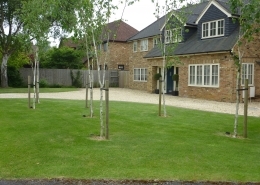 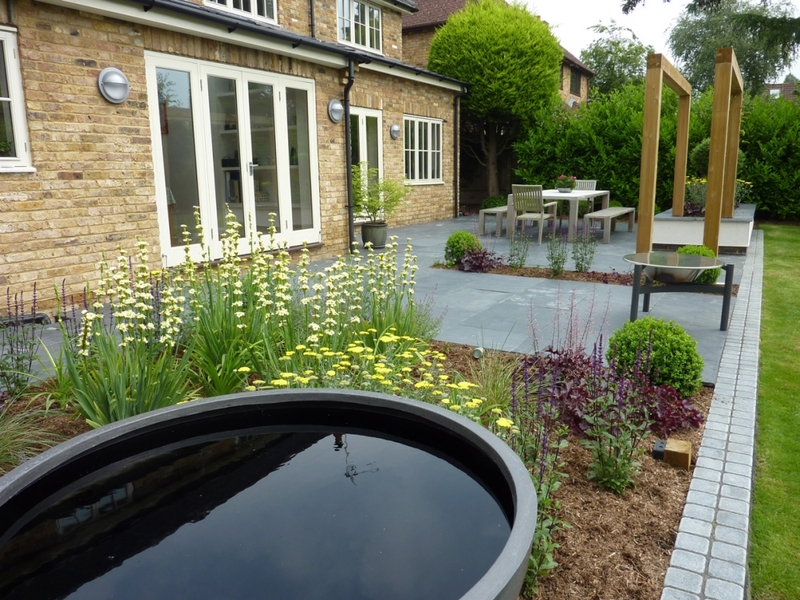 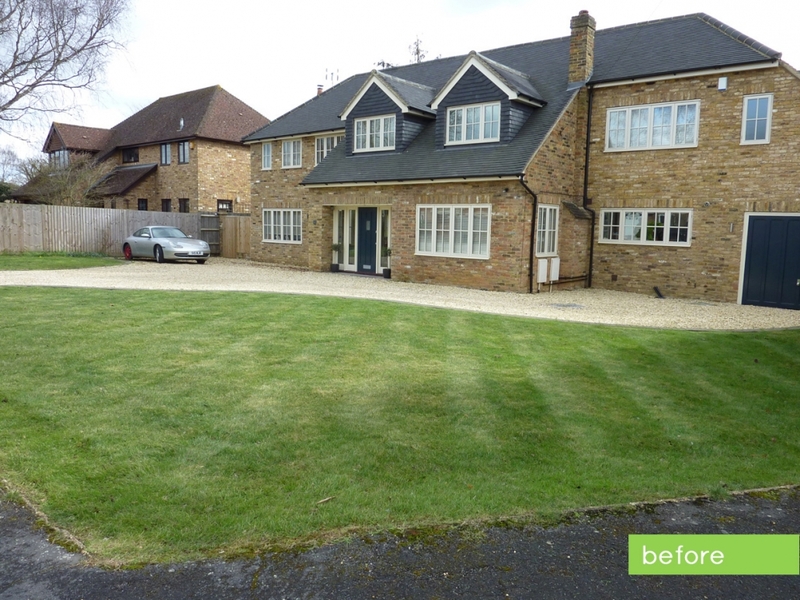 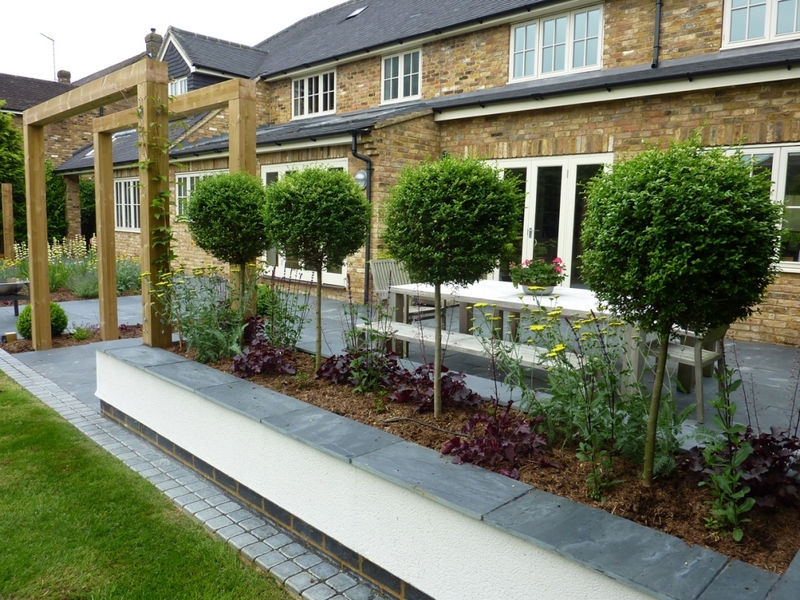 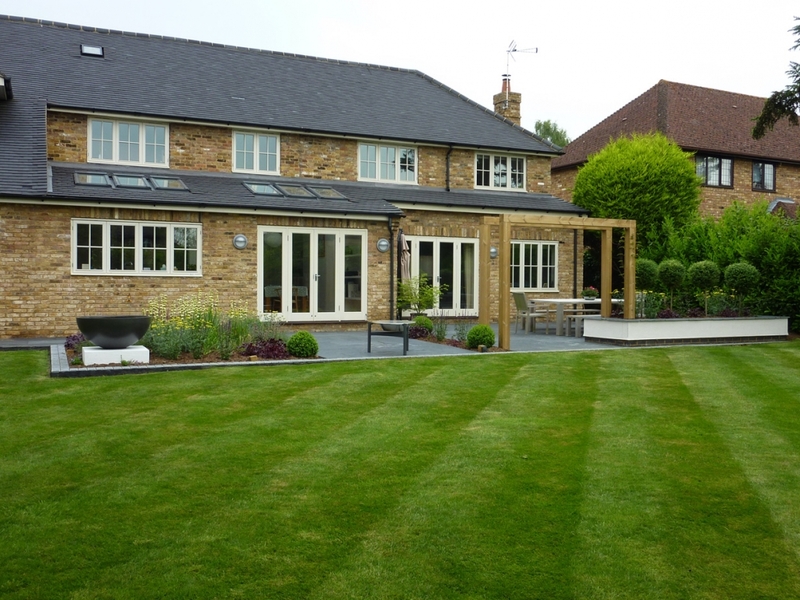 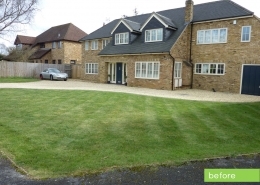 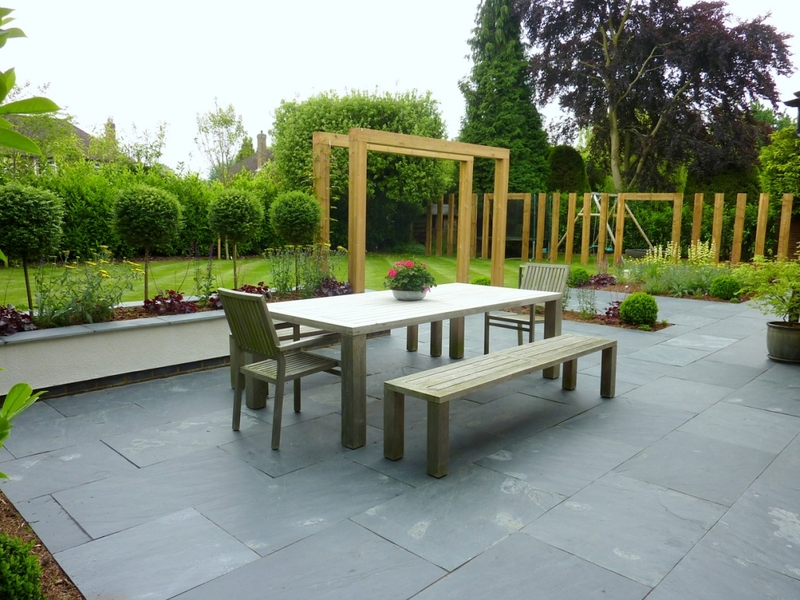 A stylish, simple garden design was required by my clients to complement their newly extended home. 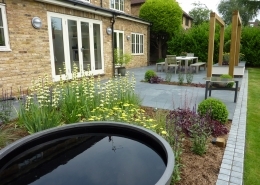 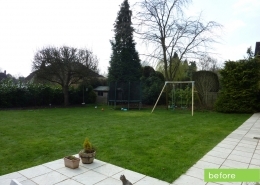 They wanted a new and improved patio area to replace the existing bland paving laid by the builders, with small low maintenance planting beds for maximum impact, and a screened play area for their children with a large lawn. 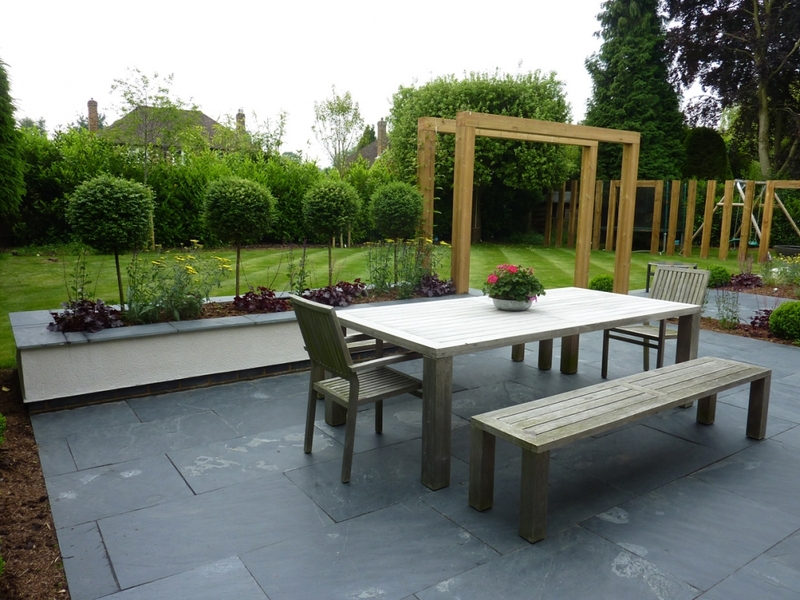 The new patio of grey slate extends across the width of the house, picking out the colour of the roof tiles and contrasting with the pale cream of the house brick, and defined with a double row of tumbled granite grey setts. 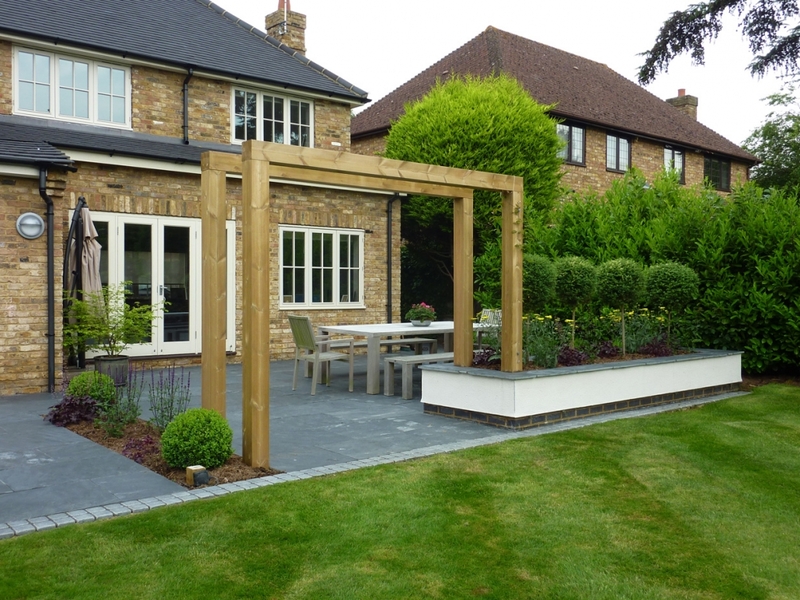 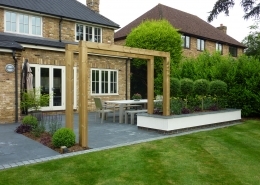 The main entertaining area incorporates a raised rendered planting border with timber archways to frame the view from the sitting room across the lawn. 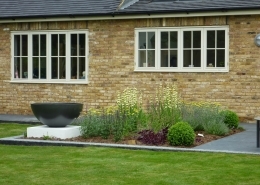 Outside the kitchen window a rectangular planting bed has been incorporated into the patio, filled with colourful perennials it can be enjoyed from the house and garden. 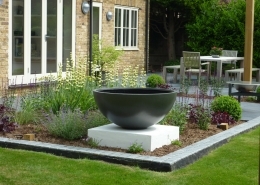 Within the bed sits a water bowl placed on a rendered plinth to attract birds and wildlife. 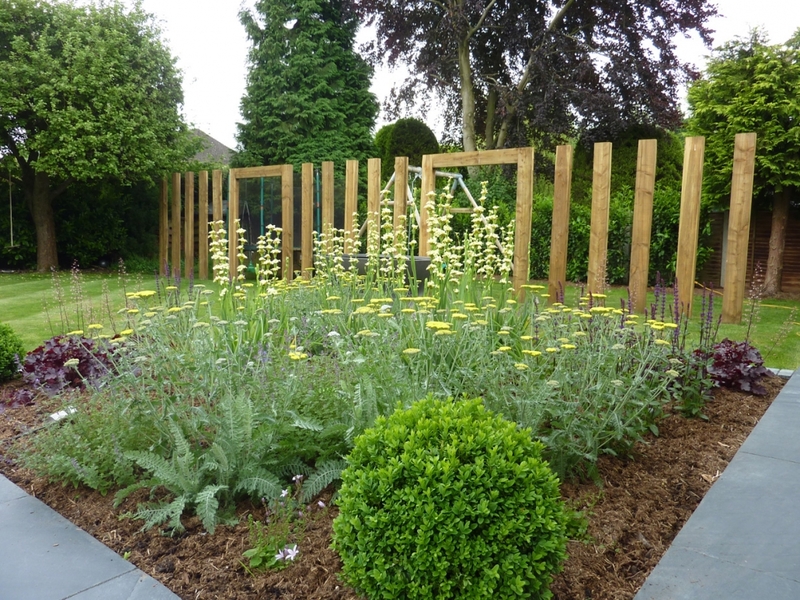 Vertical sleepers create a structured screen for the children’s play area. 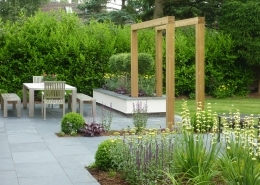 A top patio area with planting is yet to be built and due within the next phase of construction work. It has been designed to complement all aspects of the garden. 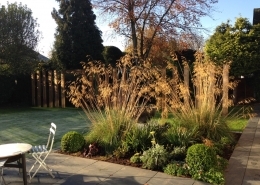 The large lawn to the front of the house has been mass planted with silver birch trees to create a glade of white stems, for softer screening which is particularly striking in the winter months.